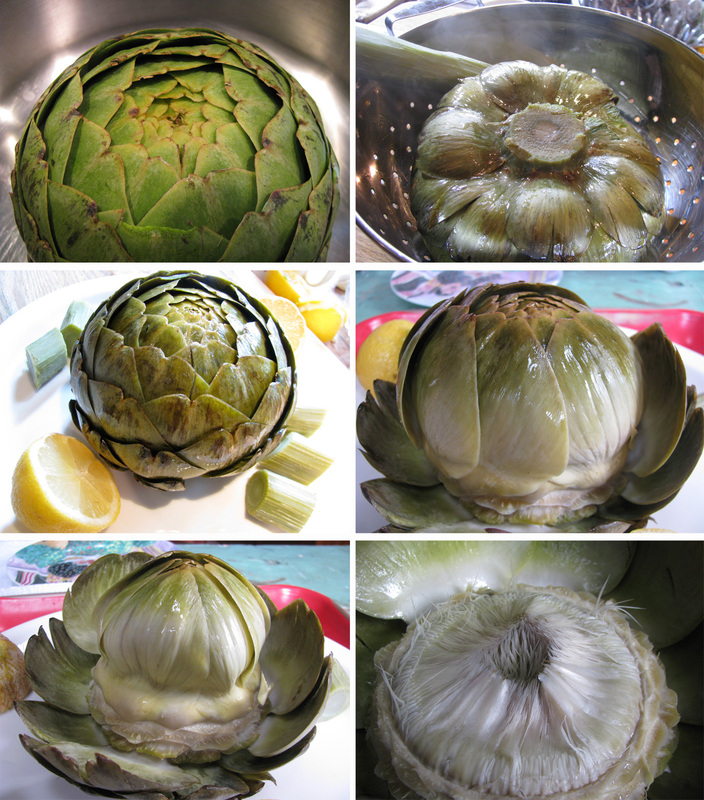 Now I know what to do with Artichokes, thanks. 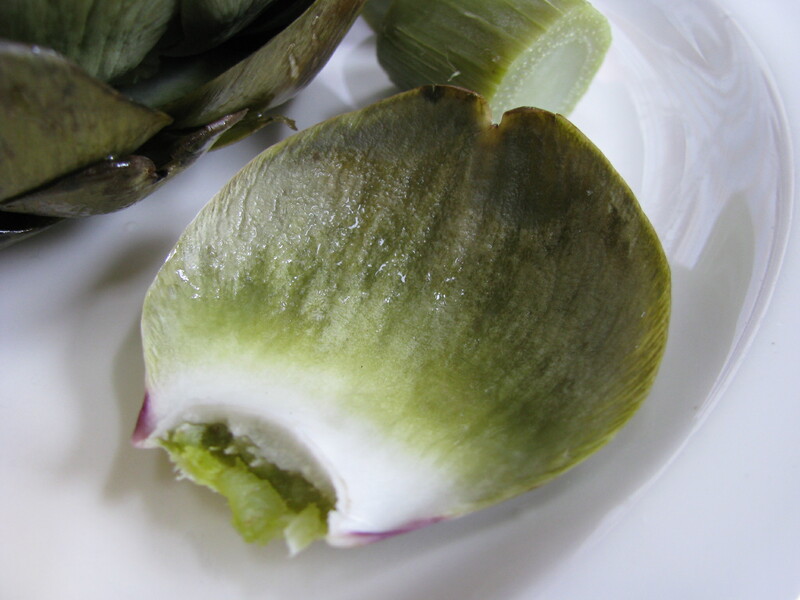 I have only prepared fresh artichokes one way – steamed. 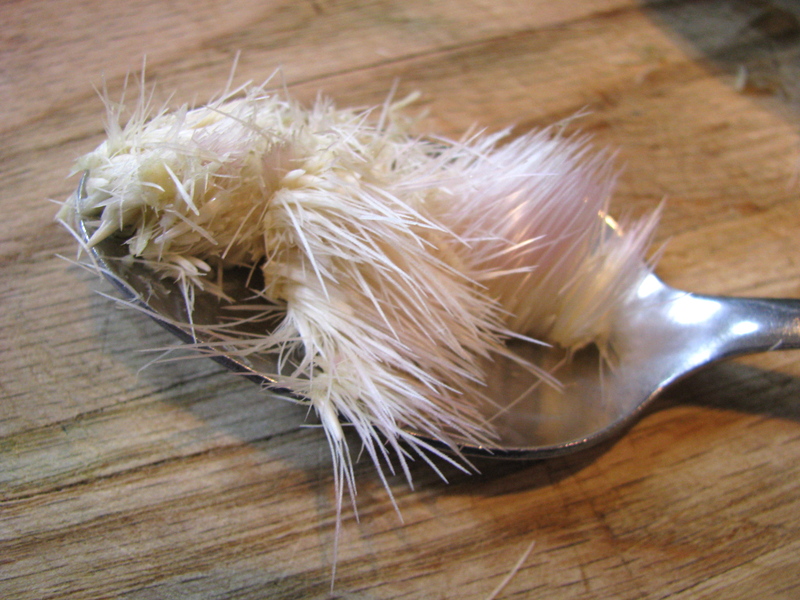 Similar to your first preparation but in a steamer basket inserted into a large pot. 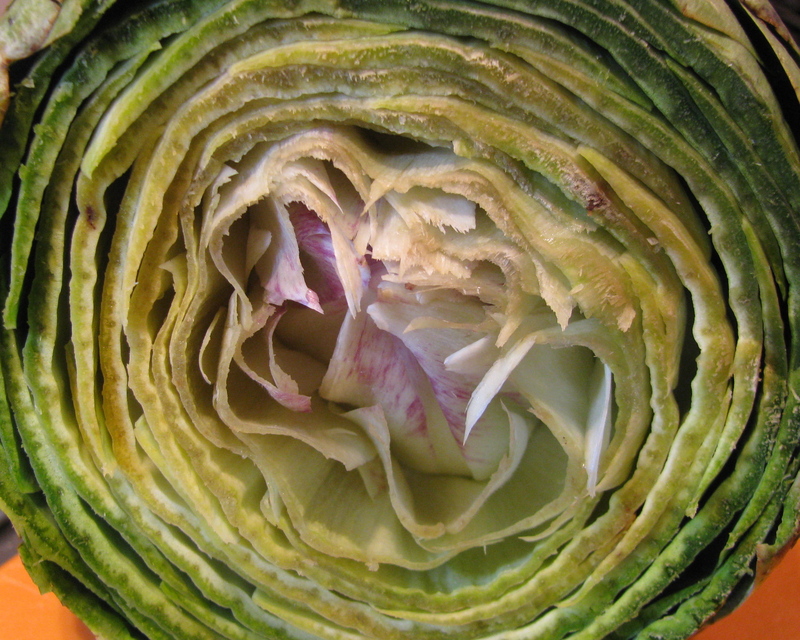 It takes 30 – 45 minutes depending on how large the ‘chokes are and how many you cram in there. 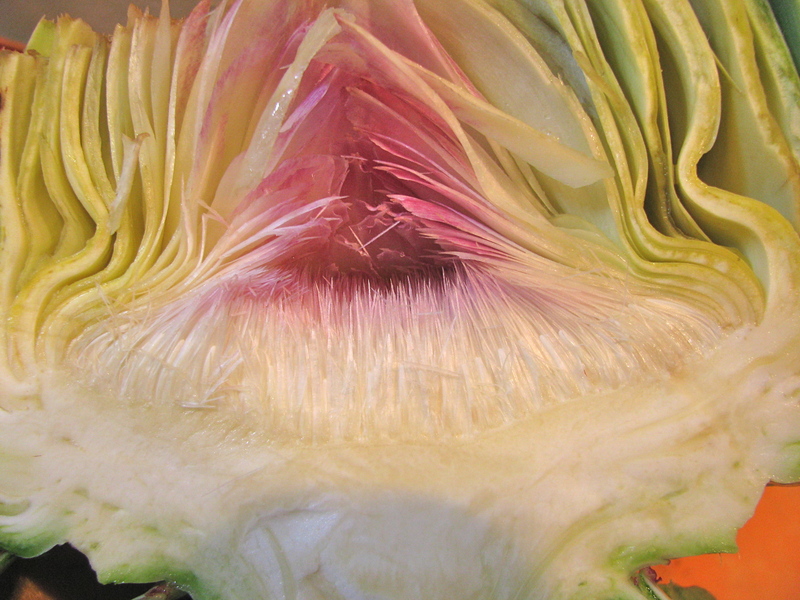 Alex and I lived for a short while very near Castroville California, artichoke capital of the country. The fields of bushy spiked plants were rather stunning to an Ohio girl. 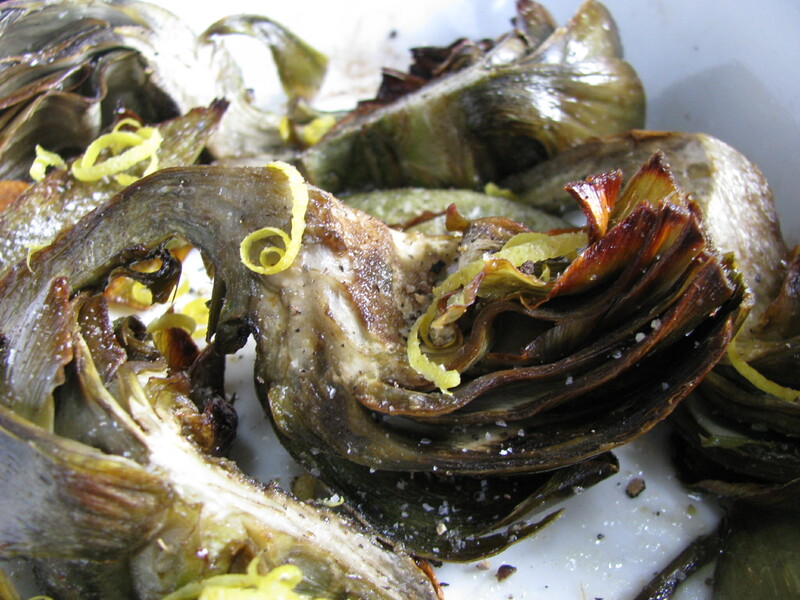 Our favorite farm stand served deep fried fresh artichoke hearts in season. I estimate they were steamed or boiled first, then breaded and fried. Delicious, as you might imagine, and very easy to consume in mass quantity. Sounds amazing. Apparently they can grow in Ohio too! 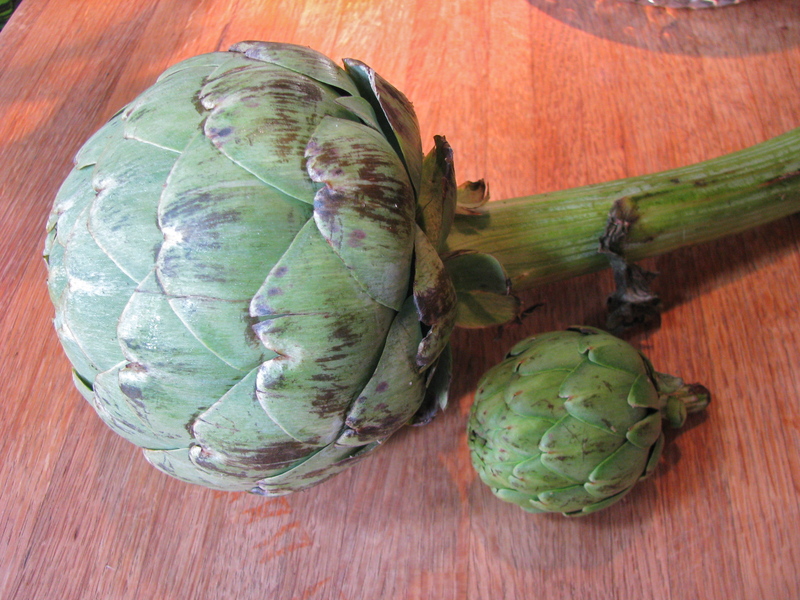 Colleen says that Andrew at Lucky Cat is growing artichokes. 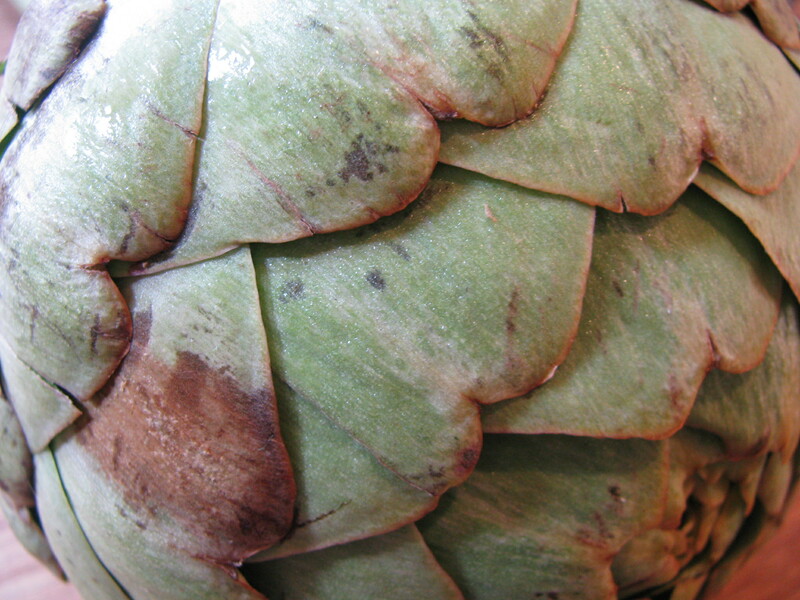 I love artichokes! I’ve never tried them roasted but definitely will. Regarding the flimsy inner leaves, those are delicious, and one of my favorite parts, after the bottom. When the leaves start to get really thin, grab around the top of the cone and pull off the entire cone, trying not to take any “choke.” Because the leaves are so flimsy, you can bite through the whole bottom mass. Dip in butter sauce and enjoy. 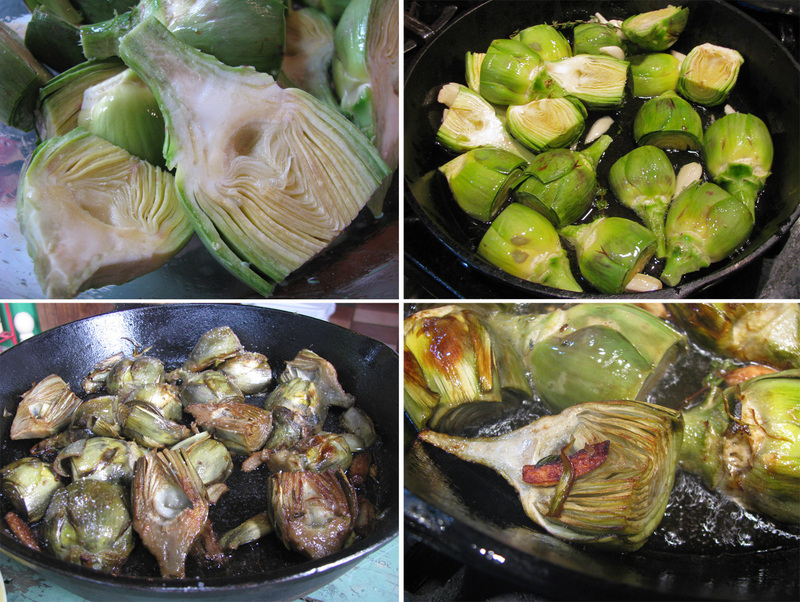 Tonight, I parboiled two globe artichokes, and roasted them with some other veggies for sandwiches. Really good! – Thanks for the tips!